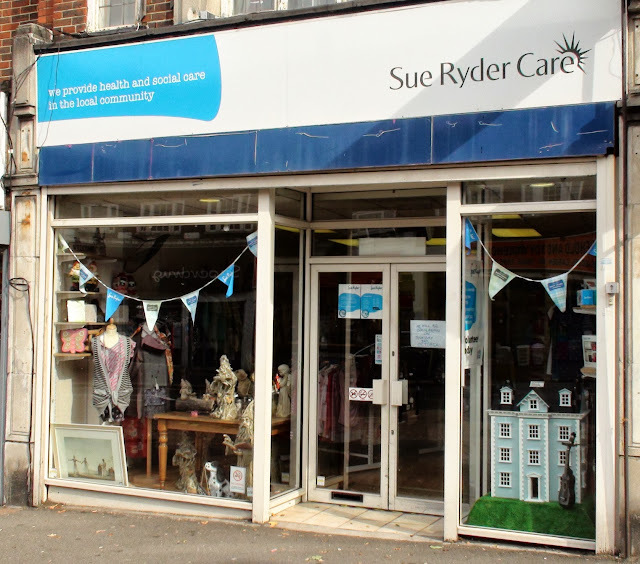 There has been some concern about the Sue Ryder charity shop having unexpectedly closed it door over two weeks ago. 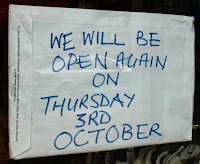 However a note has appeared on the door saying they will be open again next Thursday (3rd October). By loitering suspiciously outside the door with a camera, I managed to speak to someone who was inside. 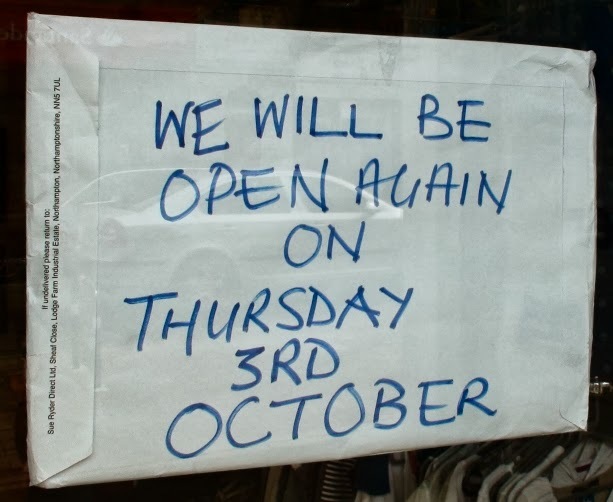 They had had to close because of a lack of volunteer staff. They need two or three people for each 4 hour shift in order to open. They are achieving this next Thursday with the manager and area manager staffing the shop all day. If by any chance dear reader you have harbored an unfulfilled yearning or even a slight inclination to offer a little of your time to a local charity shop, this would be a good time to complete that missing part of your life. Please get in touch with them via their website: http://www.sueryder.org/Volunteering/Roles/RT1502. Ryde On!